Amazing new total renovation, custom-crafted by a premier developer! Spectacular 3 Bedroom, 2.5 Bathroom Duplex! Sleek MBR suite! Blazing sunshine and flawless floor plan! Sweeping, open dining room and living room with fireplace. 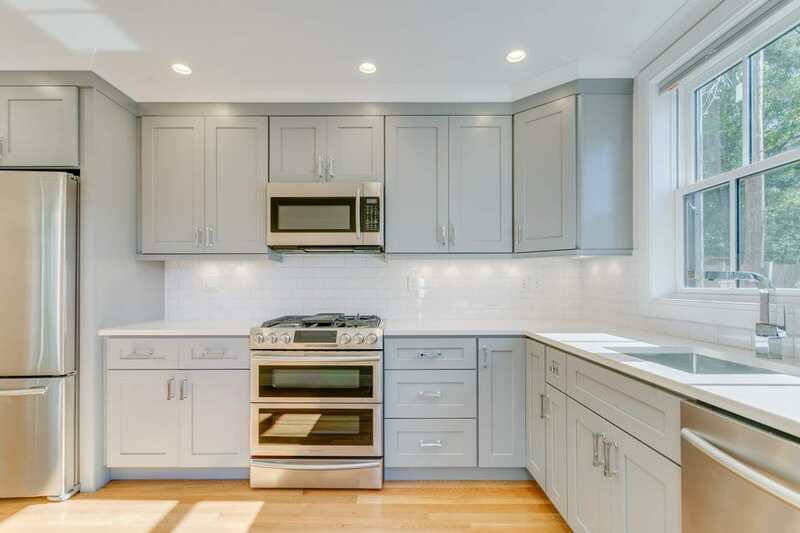 Custom gourmet Eat-in kitchen with state-of-the-art Stainless Steel appliances and quartz counters with an abundance of Dove Grey custom cabinetry! The lavish Spa bathrooms are elegant and bright, featuring Carrara marble floors and over sized porcelain tiles! Gleaming custom-stained oak floors throughout! Windows are everywhere! Come see this superior home with a wonderful, entertainment-sized, private, easy access deck with gas for grilling! Every amenity you desire and more! Central air, in-unit laundry! An outstanding value for a brand new show stopping residence with private outdoor space! Don’t Miss out on this one!